** Price is for one only. Size: 250 ml / 8.45 oz. Measurement: 17cm x 9 cm x 5 cm aprox. 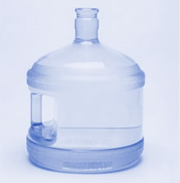 These clear PET bottles are available with white polypropylene foamer pumps. 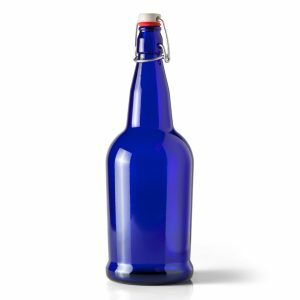 These bottles could be a great packaging option for foaming bath and body or hair care products. 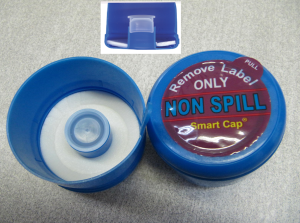 As always, be sure to test these containers with your product for proper compatibility. The pump creates a foam without the use of gas propellants and allow for precise mixing of liquid and air, producing a dose of high quality foam with each pump. ** NOTE: Essential Oils and some other products may melt the plastic tube over time. Thee Foam Pump Bottles sold by ForSoapmakers.com are manufactured by Airspray, Inc. (recently purchased by Rexam, Inc.). This is the same patented foam pump mechanism as the one used in products by Alberto Culver, Avon, Jergens, Neutrogena, Unilever, Mary Kay and Johnson & Johnson, sold in catalogs and by Pampered Chef. The bottles are designed to work with a thin substance of water-like consistency. It must have sufficient surfactants (soap or detergents) to create the foam. The liquid should be water-based, and it has to be able to foam using only normal air (no gasses or other propellants). 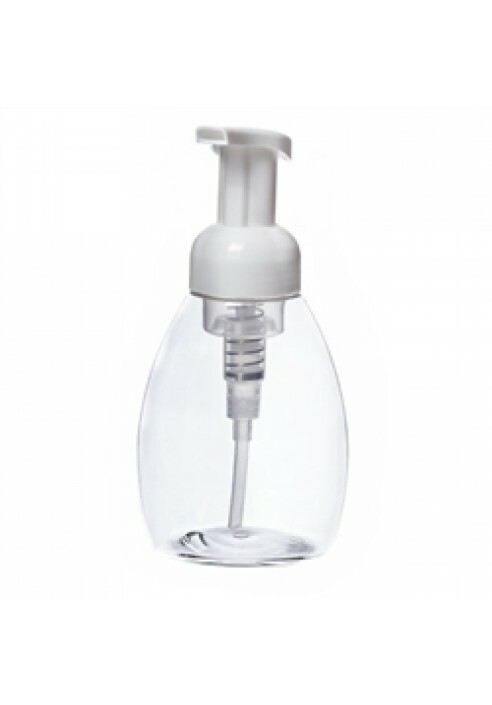 Many commercial soft or liquid soaps will work in the foam pump bottles if sufficiently diluted. However, often commercial liquid soaps, especially “gel” soaps, contain thickeners. Soaps with thickeners may require so much water to dilute them to “water-thin” that the effectivness and foamability of the soap is compromised. Handmade liquid soaps usually work extremely well in the foam pump bottles as they are generally thin to start with and normally do not contain added fillers and thickeners. Do not use “melted down” bar soap in place of an actual liquid soap because bar soaps tend to clump or gel and can clog the mechanisms inside the foam pump. You want to dilute the soap as much as you can, while still keeping the desired feel and consistency in the foam. As a general guideline, you should be able to dilute your normal liquid soap by 3 – 6 times. Start with 1 part soap and 3 parts water, and see how it feels. Add additional water until the foam just barely starts to thin out. Slighly LESS than that amount of water is the right amount use with that particular type of soap. While it might be tempting to keep the liquid soap thick and reduce the dilution rate, doing so is likely to cause the pump to stick over time. Remember, these pumps were made for liquids of the consistency of WATER. The thicker the liquid, the more likely you are to have trouble with it in the future. Inside the pump of the Foamy Pump Bottle is a little mesh screen that mixes the soap with air to produce the foam. The holes are microscopic (79 microns – very tiny! ), and can easily get clogged. The manufacturer does not recommend the addition of any solid particle, even if it is under 79 microns, as solid particles tend to clump together, making them too big to pass through the mesh. Micas, pigments and any type of glitter are too big to work in the foamy pump bottles. If you want to color your liquid soap, use dye approved for cosmetic use. These work similarly to food coloring and do not contain any solid particles big enough to clog the mesh inside the pump. Bottles can be refilled and used again and again. The manufacturer has tested the bottle/pump design and found it mechanically works for up to 12,000 pumps per unit. In practical application it may be considerably less, depending on the soap used and the care and environment of the pump. The pumps are not designed to be used under running water. Use in the shower is not recommended and the bottles should not be placed or washed under running water. Doing so may allow water to seep down the neck and get into the air chamber located beneath the pump. Do not overfill the bottles. If you actually measure out the right amount of liquid for the bottle size, you’ll see that it doesn’t actually fill to the very top of the bottle. This is to prevent liquid from getting into the air chamber. As the pump is used, there is residual liquid on the screen. If the pump is not used frequently, that soap liquid can dry, creating a film on the screen which can ultimately clog the screen making the pump hard to use. The pump mechanism has a small amount of lubricant in order to keep the pump moving smoothly. While I haven’t been able to get confirmation from the manufacturer, it seems that some soaps eat away at the lubricant, reducing its effectiveness over time. So far I have not been able to identify why the lubricant is affected by some soaps and not others. Is the soap too thick? This is a common problem with the pumps. To work in the foam pump bottles the liquid should be water-thin. If it is too thick, the pump won’t work properly and/or can be permanently damaged. To resolve, increase the dilution rate or use a different soap. Is there liquid in the air chamber? You should see it inside the chamber below the pump. If so, turn it upside down and pump a few times which should get the water out of the air chamber. If that doesn’t work (and if you are brave) take the pump apart, clean it completely, dry thoroughly and reassemble. Has there liquid in the air chamber for a while? If so, clean as above. However, if the soap has had time to degrade the silicone in the pump, it may not regain the original amount “spring” back up. Empty the container, and flush with warm water (it won’t foam). If the pump is clogged with dried soap, then use the pump more frequently, keeping the screen cleaned. If the screen is clogged because of particulants in the soap, use a different liquid soap without particles in it that can clog the screen. If the pump is still sticking and none of the above steps have resolved it, it could be the screen is not cleaning or the lubricant is dissolved. If you feel brave, try taking the whole mechanism apart and cleaning it with hot water. It may make it work again or it may remove all the remaining lubricant completely, causing the pump to become very hard to use – so don’t do this unless you try all the other steps first.